I'll admit I don't know much about all the retro-clones that are out there. I have nothing against any of them, but none of them have piqued my interest. I figure I'm satisfied with the originals. Maybe I'm missing out. I don't know. 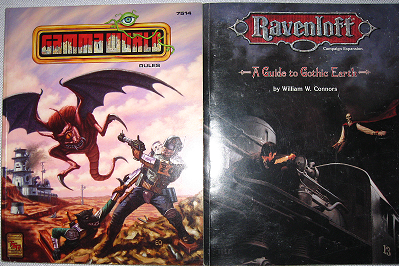 Anyway, I had read some good stuff online about Dungeon Crawl Classics. So I decided to download the free beta rules from Goodman Games website. After reading through them I was inspired to quest to my FLGS to see if they had a copy of the DCC Adventure Starter that was available on free RPG day this year. I lucked out. They had one copy left which I greedily snatched and brought home. The free beta download is about 160 pages. The layout is double column and easy to read. There is plenty of great art throughout. Does art need to add to a game? Not necessarily. But in this case I think the illustrations support the mood or flavor of the game. And we have some heavy hitters here. Jim Roslof, Erol Otus, Jim Halloway, Jeff Easley and others. 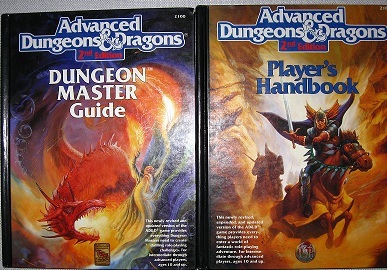 Some of the illutrations are direct copies of those found in the Basic set or the Dungeons Masters Guide. 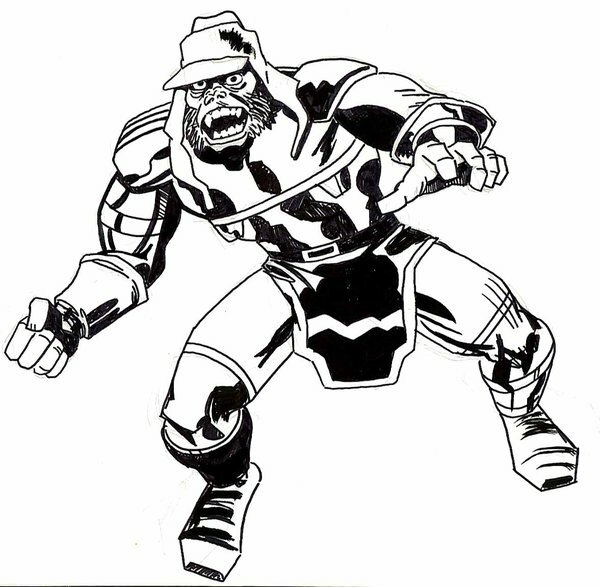 And one of the artists, not sure of the name, apes Tony Ackland's inking style perfectly. And I mean that in the best possible way. You would swear Goodman Games found some old pictures that never got used for Warhammer Fantasy Roleplay 1st edition. On that note the game writing also has a gritty, dangerous vibe reminiscent of Warhammer. I even seperated the printout I made into three little black booklets similar to the "other little white box", Warhammer Fantasy Battles 1st edition. Easy to read. Good art. It seems to me DCC is to Basic D&D what Pathfinder is to D&D 3.5. By that I mean they have taken the concepts of the classes, trimmed a little and focused a little. Everything is Basic D&D at it's core. Saving throws are trimmed to Fortitude, Reflexes and Willpower. Now add a pinch of Warhammer Fantasy Roleplay. Not much. ~ Luck replaces Wisdom. 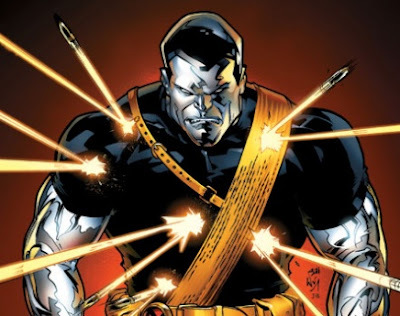 The Luck modifier can affect critical hits, both by the character and against. It can also be spent for bonuses to certain actions, among other things. Once luck is spent it does not regenerate, except for a couple classes or by divine (read DM) intervention. ~ Personality replaces Charisma. This is the score used for Clerics, since Wisdom is replaced by Luck. ~ Charcters start at 0 level and have no class. They do roll randomly for an occupation. An occupation is a general background that provides a basic weapon and one item to trade. The occupation also acts as the character's skill area. Simply put, whenever the character tries to do something related to their occupation, the DM may allow a small bonus to an attribute roll. ~ The only way to play a demihuman character is to roll it as your occupation. That's right, there are no requisite scores. ~ Alignment is a choice that affects some of the options in each class. Lawful, neutral or chaotic. ~ Clerics can turn creatures that are consideered unholy by their faith, not just undead. Healing is a class ability, not a spell. Clerics can pray for Divine Aid, which is basically some small miracle that the DM will create. Oh, and Cthulhu is mentioned as a deity that neutral clerics may worship. That pretty much sold me on the game. ~ Thieves can do their standard thiefy stuff. Your alignment determines what percentages your thief skills start at. For example a chaotic thief is an assassin and gets a better chance using poison. It sounds weird but is actually very simple. Thieves are one of two classes able to regenerate Luck without divine (DM) intervention. ~ Fighters gotta fight. This one is really cool because it's an answer to the everlovin' feat mess in the D20 system. Warriors can perform a Mighty Deed of Arms or just Mighty Deed. A Mighty Deed is an attempt to do something more than just swing to hit. 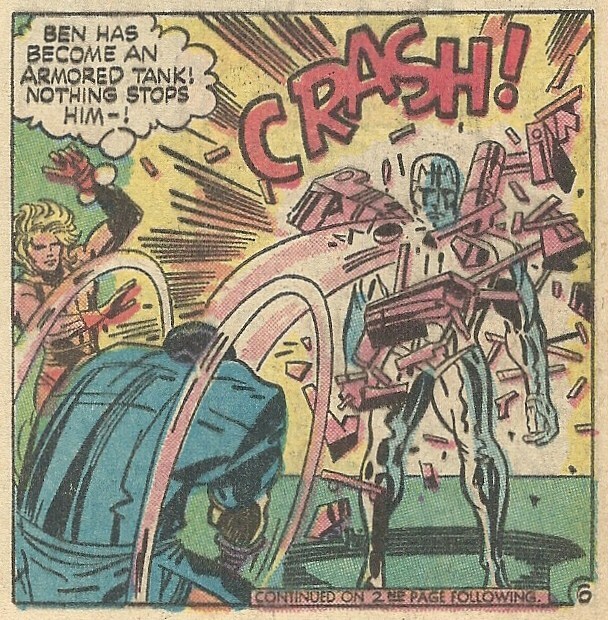 It could be a disarm, a strike to blind, a trip, a grapple, or any stunt the DM allows. The player declares what is being attempted. The DM decides if it's possible. The player rolls a D20 to hit and another die at the same time for the Mighty Deed. If the attack hits with the D20 and the die for the Deed is 3 or higher the Deed succeeds. How cool is that? No more long lists of feats dedicated to specific situations. Fighters are now basically Jackie Chan! ~ Wizards . Okay, I haven't read the whole section on magic yet. Casting a spell requires a kind of skill roll over a difficulty. The more spells you cast in one day, the more the difficulty increases. When you rest for the day the difficulty number resets. Failing or fumbling a spell check can result in something nasty happening. Once again, similar to Warhammer, in a good way. Wow. This is rambling on more than I intended. I may have to cut this "summary" in half. ~ Dwarfs get to declare Mighty Deeds like the fighter. They also have their dwarfy detection abilities. ~ Elves can fight pretty good and use spells. They have heightened senses. ~ Halflings are stealthy and can fight with two weapons better than other classes. They are one of two classes that regenerate Luck. The game looks really fun so far. And easy, which is good. Gonna have to cut this short. 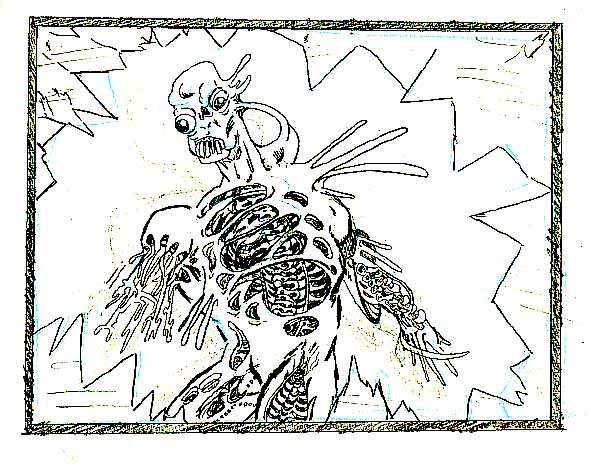 Unfortunately I'm going to put the Mutants and Magic developement on hold. Sort of. My work schedule is just too crazy and I'm going to have to play something easier to work with. Some day I will get back to it in some form, probably just going back to first edition AD&D and using exactly what Gygax wrote. For now, I think I'm going to use the same general idea for the setting with Villains and Vigilantes. 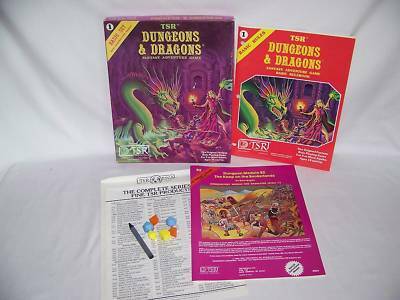 At first I was concerned because almost every blog I follow is mainly about some edition of D&D or other old school games. But then I thought, I have to do what I have to do in order to play something. Villains and Vigilantes is "old school", right? I know there are other gamers who enjoy super hero games and comic books in general. I've always liked the 40k background. I have a ton of the miniatures and another ton from other games as well. I have Warhammer 40k first through fourth edition. I also have Dark Heresy, Inquisitor and Necromunda. The funny thing is, I've only played Warhammer maybe three times in my life. I know it sounds crazy, but I'm the same way with role playing games. I collect them but rarely play anything. I need to do something about that. Anyway, while thinking about the whole "not enough time, need something easy to play" thing mentioned earlier I was looking at my copy of Warhammer 40,000: Rogue Trader. It was in really sad shape. The binding had seperated from the boards and there were pages falling out everywhere. I don't know how many hours I have spent reading through this book just for sheer entertainment. How had I let it fall to this state of disrepair? Yet not all hope was lost. I used some super sticky packing tape, the kind with threads running through it, and bound the pages back together at their spine. Then I carefully taped that body of pages back into the boards and reinforced the outer spine. And the tome was made whole again. Praise the Emporer! I'm not sure how long this repair will last or what the glue on the tape might do to the paper, but the fix is holding for now. Adaptes Arbites. Think Judge Dredd...IN SPAAAAACE! Imperial Army Commisar figure converted into an Arbites Marshal. Zombies and other random bits converted into arco-flagellants. 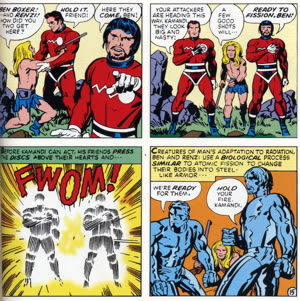 Kamandi's pal, Ben Boxer, uses his "cyclo-heart" to change the atomic structure of his body into steel-like armor. Kinda reminds me of a later character. It makes him pretty dang tough. 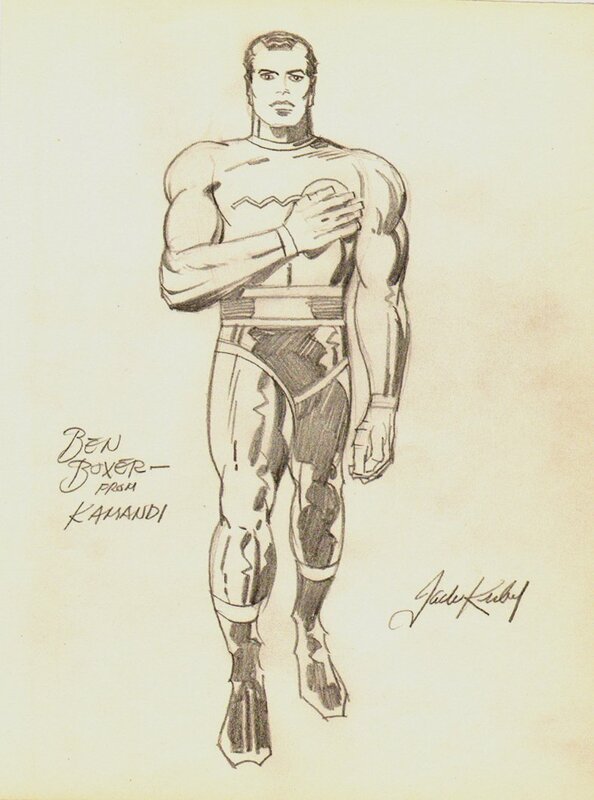 I just can't get enough of Kirby's pencils. Inspired by this post about Frogmen at the Lawful Indifferent blog and also a post titled The Bullywug: An Aesthetic History (1981-2009) at Discourse and Dragons, here is an adaption of the bullywug for Gamma World 4th edition. Plus a couple of drawings I did. Froggy went a-courtin', and he did ride, Uh-huh. Description: Three foot tall humanoid frogs. Pretty timid in small groups. But if they outnumber you, they get pretty pushy. And there's nothing like a dozen little bullyfrogs hopping out of nowhere, trying to bash your head in. Combat: Bullyfrogs lie in ambush using their chameleon power, waiting to see if creatures passing by might be too dangerous to harass or eat. Bullyfrog hunting parties usually only confront groups they outnumber. Bullyfrogs normally use their heightened speed mutation to rush suprised victims. While their heightened speed is activated bullyfrogs can make a special hopping attack. Treat this like a charging attack as per page 50 of Gamma World, except the bullyfrog does not suffer the -2 penalty to AC and they can only attempt it once per combat encounter. Some bullyfrogs like to hold off using heightened speed just in case they need to make a quick escape. Society:﻿ Bullyfrogs live in semi-nomadic tribes, migrating seasonally or when food gets scarce. Their tools, armor and weapons are usually made of natural materials like wood, stone or bone though some tribes have learned basic metallurgy. They covet technological items, even though they make little use of them. They will attempt to steal them whenever they think they can get away with it. These are just a couple drawings I did based on the work of Jack "the King" Kirby. 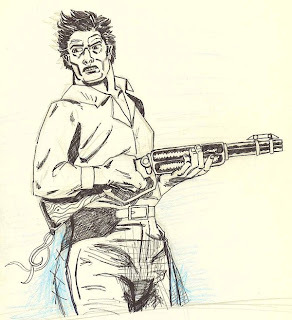 Nowhere near as good as his, but fun to draw. 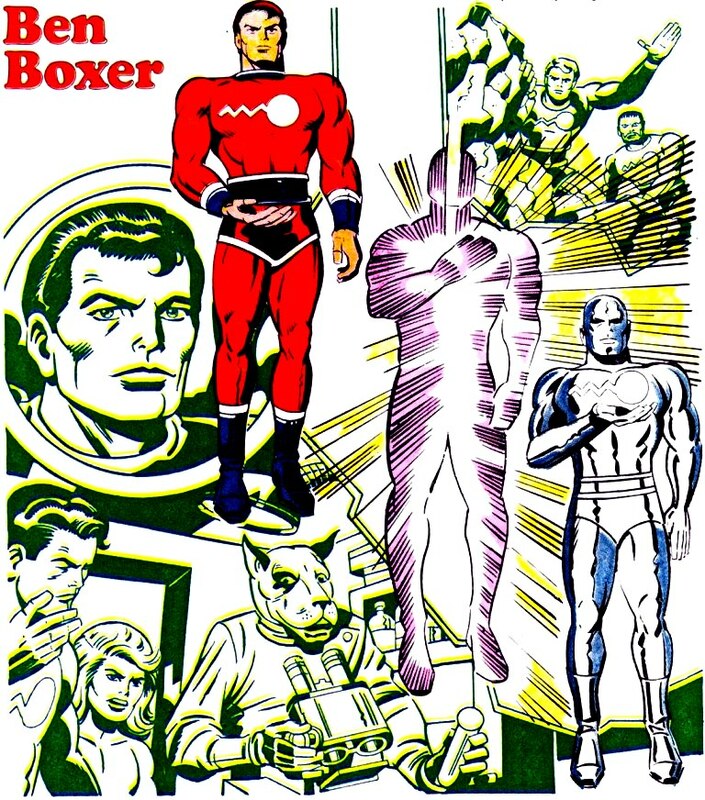 There will never be another Kirby! Goal one is to keep it fun, of course. 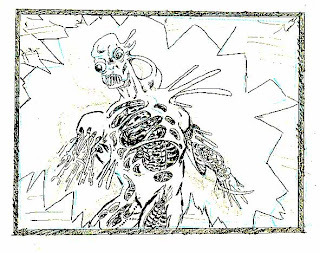 As an homage to ideas put forth in the first edition DM Guide, I'm hardly breaking new ground here. Goal two is to keep it simple. So as long as anything I reorganize and combine is still playable I'll be satisfied. As for philosophy, I working from the point of view that every rule is mutable. Things may get changed, removed or added. That is the beauty of these games. If a Dungeon Master doesn't like a particular bit of rules, they can change it. And so it goes with these ideas. Expand, alter or eradicate any part as you will. Imagine an Appendix N, an inspirational bibliography, based on the works of authors such as Jules Verne, H.G. Wells, Bram Stoker, Mary Shelley and others writing in the early science fiction, horror and fantasy fields. The genres weren't even that well defined yet, I know. The spirit and will of mankind against weird menaces of the unknown. Gamma World is one of my favorite games. It's simple rules and the post apocalyptic struggle to survive in a world gone mad just hit a sweet spot. Masque of the Red Death is a set that seems to get overlooked, in my opinion. It reminds me of the old Hammer horror movies I enjoyed growing up. For the purposes of this project it will stand in for Boot Hill. These two games will form the core of the setting. Legends from every culture throughout the ages say there is another world. A hidden realm made from the stuff of dreams...and nightmares. Most of the paths and gates to this world have been obscured or locked for millennia. Now strange magics on Earth have spoiled and eroded open many portals to this mystic world. Elves, dwarves and other beings of myth and fable have come through to find Earth, which they claim is their ancient home, infected by an alien abomination. And many hold mankind responsible for what has happened. I'm also using a few ideas about character backgrounds and occupations from these games. 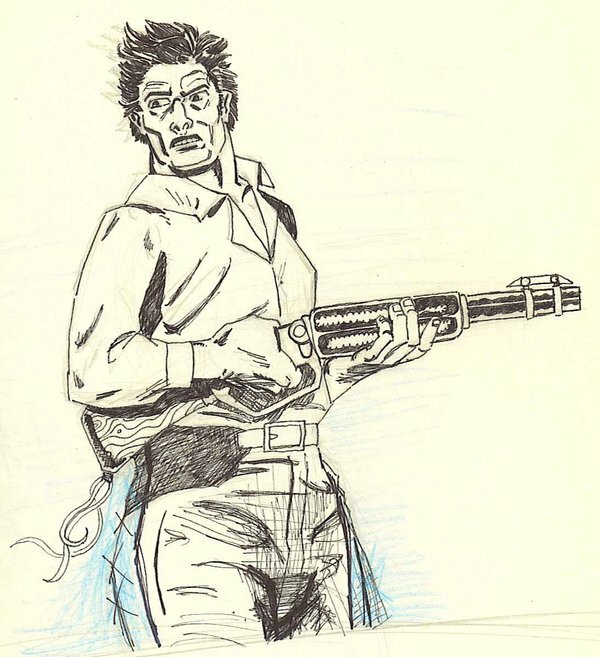 Danger Quest by Torchlight Games is all about weird pulp adventures in the distant future. 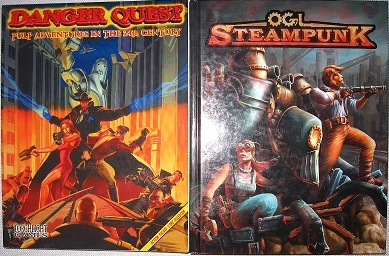 OGL Steampunk by Mongoose Publishing is about, well, steampunk. You will also need pencils, paper and polyhedral dice which you may find at the store which you bought your games. NEXT TIME: How to Play a Role Playing Game. 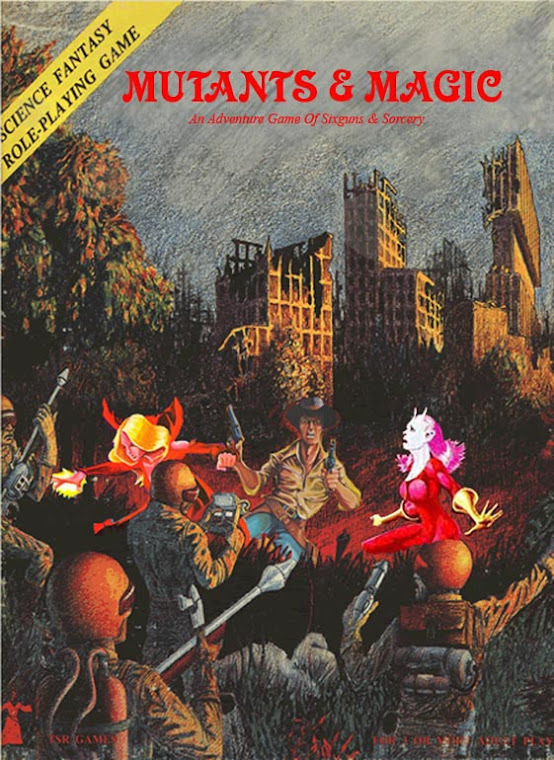 I'm taking the conversion notes for Boot Hill and Gamma World in the first edition Dungeon Master Guide and using them as general guidelines in 2nd edition Dungeons and Dragons. Instead of having characters transported from one campaign to another, the background will allow races and classes to be created based on a single background world. My initial idea is to set the timeline after a War of the Worlds type invasion. But what they left behind were actually seeds that grew into even more horrible monsters and caused waves of genetic mutations. It seemed the Earth would be overgrown by these new alien ecosystems. Humans with knowledge of ancient magics and scientific visionaries desperately try to use the salvaged Martian technologies to fight back this new threat. Meanwhile an invasion of another kind is taking place. The weird experiments have weakened the barriers between Earth and another dimension. An alternate world that is connected to Earth like a shadow. Creatures thought to exist only in folklore and fairytales are stepping through. Elves, dwarves, gnomes and others claim to be the true keepers of the Earth. Are they here to defend or conquer? I've been thinking about writing a blog for a long time. I read many good blogs on the topic of games and comics. I thought maybe I might have something to say someone else would be interested in and make some new friends along the way. I first found out about Dungeons and Dragons in fifth grade. My cousin brought the Basic Set to recess in the gymnasium one day. He DM'd a quick game with myself and about 4 or 5 of our friends. I think I was playing a Cleric. I remember we were fighting zombies or some form of undead. Anyway, I was hooked. The idea of playing make believe with formal rules to tell this story with some friends just fascinated me. We played pretty regular for the rest of the school year. In fact, for the next two years my cousin and I tried several different games before he and his family moved out of the state. Mainly TSR stuff, because it was easiest to find. We played Gamma World, Star Frontiers and Marvel Superheroes. 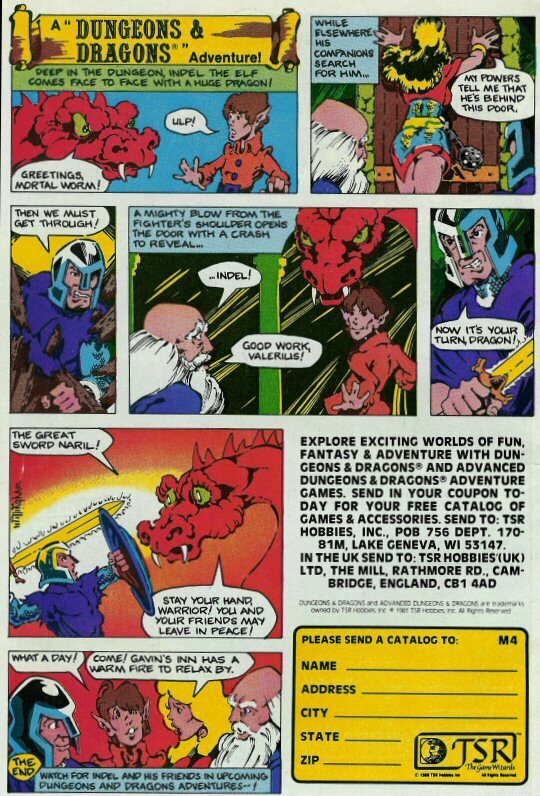 And of course Advanced Dungeons and Dragons. We even talked about writing our own game. Good times indeed. Most of my free time and money was happily spent on games, miniatures and comics. Which brings me to the other hobby/obsession of my life. 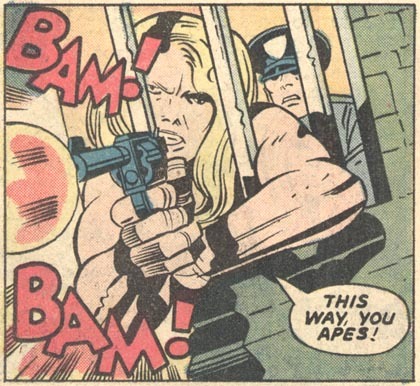 Comic books. You see, I had this other cousin who really liked Batman and Spiderman. We bought as many comics as we could, any chance we got. 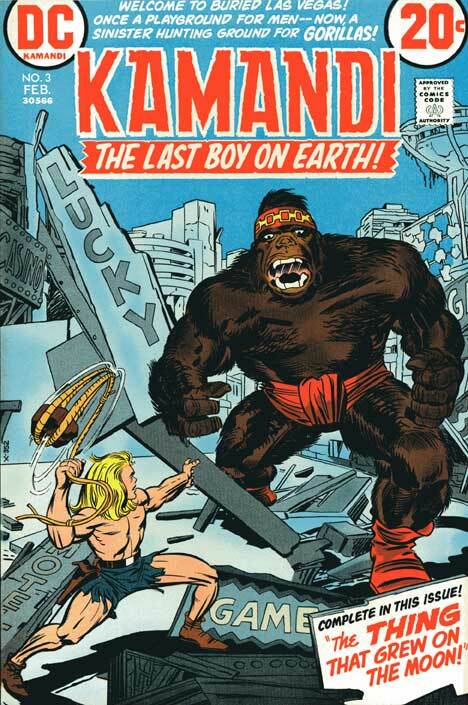 We were expert comicologists, of course. We knew the origins, the powers, first appearances. All the vital information. And we were going to write our own comics. I had big dreams back then. Long story short, everyone else grew up and I still collect games and comics. Sometimes to the detriment of my budget and the ire of my wife. But I guess I can't help it. I still get excited by the stuff. I'd like to find some friends who share my passion for games, comics and pop culture in general. I guess this is a start.